Planning to buy a laptop, but not sure if to spare the cash in the present uncertain economic scenario? Here's how to have a laptop without taxing your pocket. Welcome to the emerging breed of laptops, called Netbooks, these mini-laptops offer slimmer looks, smart functionalities and carry a small price tag. The category initially lead by Taiwan-based Asus, today has been joined by all PC majors including Acer, Dell and HP. Also, called Internet books, they are ideal devices for Web browsing, emailing, chatting, designing and gaming. Here are some recent NetBooks launches to guide your decision. Acer recently launched a 10.1-inch Aspire One D150 Netbook in India with WSVGA LCD display featuring Acer CrystalBrite technology. The 10-inch version offers 1024 x 600 pixels as the native resolution. The notebook has a multi-touch trackpad and a six-cell Li-ion battery. Equipped with 1.6GHz Intel Atom N270 processor, Aspire One D150 packs Intel 945GSE chipset that features Intel GMA950 graphics. Aspire One D150 comes with 1GB DDR2 memory and can be upgraded up to 2GB DDR2 memory. The Netbook also includes Windows XP with Service Pack 3 pre-loaded as compared to Linux Lite OS available in previous models. Aspire One D150 promises up to five hours of battery life with a six-cell Li-ion battery. 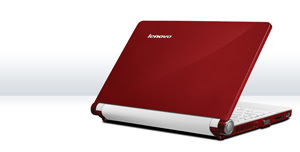 Priced at Rs 20,999, key specifications include Wi-Fi, Bluetooth, Acer Crystal Eye Webcam, and USB ports. Lenovo's ultra-portable S10 ideapad Netbook launched last year is also an ideal budget option during these recessionary times. Weighing under 1.25 kg, it has a 10.2-inch non-glossy screen outlined with white plastic. S10 has 160GB, 5400 RPM hard disk coupled with 1GB of RAM at 667 MHz. It packs 1.6-GHz Intel Atom N270 processor and runs on Windows XP Home edition. The notebook also boasts of a 1.3 megapixel webcam and an in-built mic. Priced at Rs 20,990, the notebook has 2 USBs, media card reader, ExpressCard slot and headphone jack. 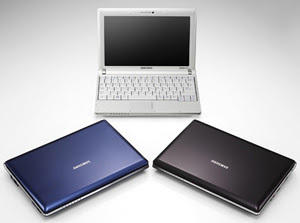 Here's a budget option from Samsung stable, NP-NC10 Netbook. Powered by the Intel Atom N270, the Netbook has Intel 945GSE chipset. NC10 packs 1GB RAM, 160 GB hard drive and an onboard Intel GMA 950 GPU. It comes preinstalled with Microsoft Windows XP Home edition and McAfee Virus Scan. With 10.2-inch screen display at 1024 x 600 resolution, the Netbook has 1.3 megapixel webcam. For connectivity it has 10/100 Ethernet, Wi-Fi b/g and Bluetooth. Priced at Rs 24,990, other features include one VGA and 3 USB ports, audio ports and a Kensington lock slot. 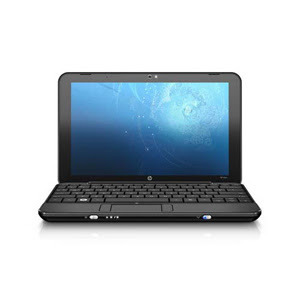 HP's low-budget Netbook Mini 1109TU is another ideal budget buying option this recession. 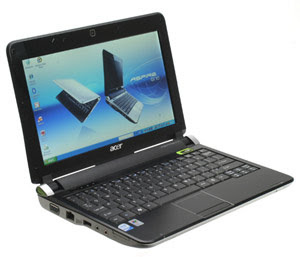 The Netbook has 10.1-inch LED backlit widescreen display, 2USB ports, headphone-out and mic combo jack. Weighing 1.09 kg, HP Mini 1109TU runs Windows XP Home and packs Norton AV. It packs Wi-Fi, Bluetooth and in-built memory card reader. Powered by Intel Atom N270 1.6GHz processor, Mini 1109TU has Intel Graphics Media Accelerator 950, 1GB memory capacity and 80GB storage. The Netbook is available for Rs 21,490 plus taxes. In February, Asus refreshed its Eee PC line-up in India with the launch of Eee PC 1002HA. 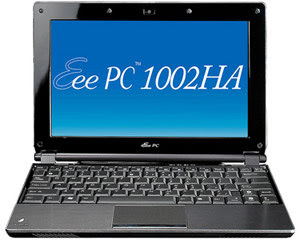 Closely resembling its predecessor (Eee PC S101), 1002HA has a 10-inch LED backlight display offering 1024 x 600 pixel resolution. Equipped with 1.6GHz Intel Atom N270 processor, Intel 945GSE chipset, DDR2 RAM with storage up to 2GB, a 160GB HDD, the Netbook has 1.3 megapixel camera. The Netbook promises 4.15 hours of battery life. Asus boasts about its Super Hybrid Engine (SHE) technology in the Eee PC 1002HA which saves up to 15 per cent power. Running Windows XP Home edition, 1002HA has a multi-touch trackpad. For connectivity, it includes WiFi (802.11 b/g/n) and Bluetooth. It is available for Rs 24,990 (approx) plus taxes.